The Virtual Paintout: Bangladesh | Oh Sarah O ! For the month of February The Virtual Paintout is taking a look at the country of Bangladesh. It was great to explore a country that had such an abundance of vibrant color! 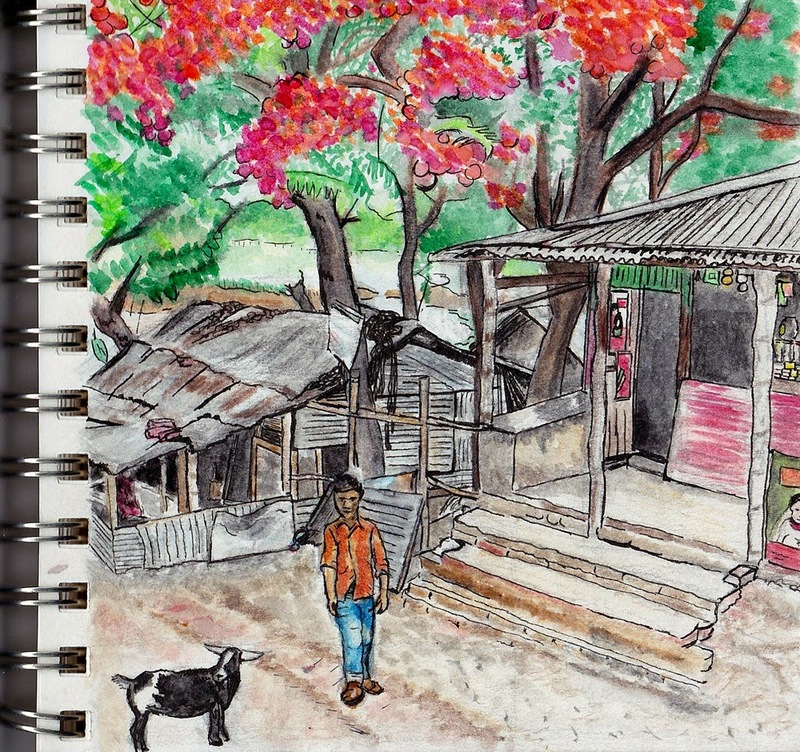 I had a really difficult time narrowing down a specific location to sketch, but in the end I chose this image because I liked the juxtaposition of vibrant color in the trees, the boys shirt, and the store front contrasting with the color of the ground and corrugated metal on the house and shop.